Using Our Experiences to Make a Difference – Organizing for system change in New York City. One night on my way home I saw a blue flyer with three questions that caught my eye. 1) Are your children in foster care? 2) Do you have a child welfare case? 3) Do you want to help change the system? At the time, my children had just been taken into foster care. I felt angry, like the system had kidnapped my children for its financial gain. The system offered me no help before taking my kids, and my side of the story didn’t seem to matter. I felt robbed, cheated and railroaded in every way. Not being told what my rights were made me determined to learn what I needed to know to get my family back. On my own, I’d begun to learn about my rights by asking questions and going to the library to research the laws and regulations of family court and the child welfare system. After I saw the flyer, I called to learn how to become a Parent Leader at the Child Welfare Organizing Project, which helps parents in New York City advocate for themselves. All of us Parent Leaders gave each other support by telling our own stories of getting involved in the foster care system. Hearing some of the things other parents go through with New York’s foster care system, the Administration for Children’s Services (ACS), my emotions sometimes got the best of me. I often wanted to cry and sometimes did. When I first joined CWOP, my thinking was, “I can gain more knowledge about the system and help my case.” I focused on helping my kids and myself. Then, as time went along, my commitment to making change in the system began to deepen. Hearing other parents’ stories, I felt a sense of responsibility to work even harder to help change ACS policies. I felt I should be a voice for parents who cannot be heard. 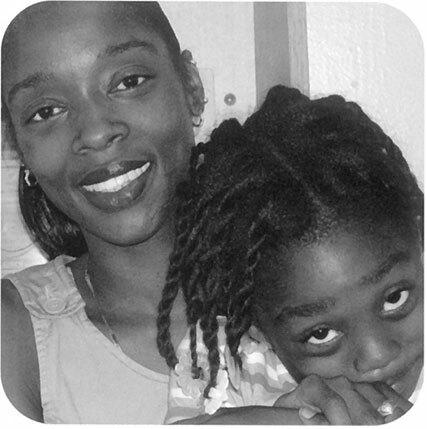 Through CWOP I helped train caseworkers and supervisors to work with parents. When I first walked into a staff training, there wasn’t a doubt in my mind that talking about the experiences I’d been through with the system would make a difference. I made good eye contact. I studied the group to see who was listening and who wanted to leave. Usually, I found that some caseworkers started to open up to what can happen to a family in the system. I continue to open up and tell my story because so many people are unaware of what happens in the system. Some people think the system always works the way it is supposed to. I am living proof that there are parents who aren’t treated according to the guidelines. So after I got my kids back, I got even more involved in speaking up for parents’ rights and needs. CWOP often meets with ACS officials to discuss strategies for providing better services to families. Especially at first, I found it weird to meet with ACS officials, mostly because I never thought I would be on the other side-a person the system would have to listen to. This young, black female who had her children removed would be someone to help ACS make policies? But of course it’s parents who can help ACS write policies that respect parents and understand our needs. For me, the most important issue was reducing the number of children being mistreated in the foster care system, because many parents at CWOP had shared that their children were abused in foster care. For a while, we had been trying to get ACS to focus on the problem-without success. But the Workgroup decided I should present that goal to the commissioner. Finally I had a chance to open minds. I was nervous, but I explained that we really need to find solutions to this problem. When I finished my presentation, the commissioner agreed to help us hold a consortium, a big meeting where we could discuss the problem and possible solutions. That’s a change in the right direction for parents, children and the system. Unlike many parents who haven’t had the opportunity to work with the system, I believe ACS will be able to improve its policies and help social workers, law guardians and judges understand what parents and families go through. It helps me to remember that “the system” is actually a huge organization, and that different people within the system have different views. Although it sometimes feels weird to be a part of the system, I think it’s worth it. Because of the work of parents at places like CWOP, ACS is starting to develop a relationship with parents and to understand our perspective. Change is slow because some people are afraid of it, but I see the very beginnings of a change here. CWOP has helped me keep believing that change in foster care is possible if you have a positive outlook, determination, hope, faith and courage.